With spring finally here following months of cold weather, now is the time to wash that winter debris off your vehicle. While washing your vehicle on a regular basis is a good way to have your vehicle looking clean and sharp, it’s also not great for the environment if you follow the traditional method of washing. You may not realize, but washing your car in your driveway can be quite contagious to the environment. If you wash your vehicle the traditional way, you’ll be sending dirty and chemical-ridden water into the streets where it is eventually carried into large bodies of water. This can ultimately poison aquatic life and damage our ecosystem. If you want to limit the amount of damage done when you wash your car, you should strongly consider parking your vehicle on the grass. The soil on your yard does a much better job of filtering the chemicals out of the water and also absorbs some of the run-off water. While having chemicals in your soil isn’t exactly environmentally-friendly either, it’s better than it going into a large body of water. If you do it properly, you also won’t have to worry about watering your grass that week. If you really want to ensure you’re taking an eco-friendly approach to washing your vehicle, you should consider spending a few bucks to have it cleaned at a commercial car wash. Car washes are designed to use water more efficiently, as they’re often equipped with a number of devices that can clean your vehicle at a much quicker rate. Most car washes use less than half the water you’d be using to wash your car yourself. Many car washes are also required to recycle their waste water into sewer systems. Instead of using litres upon litres of water when you wash your vehicle, you can save oodles of water by using a bucket and sponge instead. Sure, it may not be as efficient, but the amount of water you’ll save will be worth it if you’re someone who cares for the environment. Instead of blindly throwing your bucket of rinse water down the driveway, take it inside and pour it down your toilet instead. This way, it can be filtered properly. While you should avoid washing your vehicle in the sun for a number of other reasons, washing your vehicle in the shade will limit the amount of water you use, as it won’t evaporate as easy – especially on a hot, summer day. 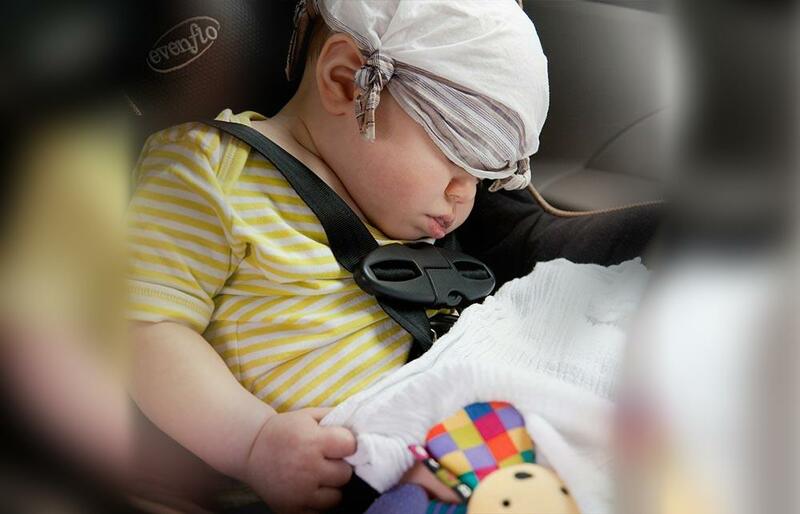 This may sound like strange advice, as almost everyone prefers to drive during the day, but it will mean your baby may spend more time sleeping. This means they’ll spend less time on the road trip hungry, bored, crying, and needing changes. Sure, you may be a bit more tired yourself, but it will be a less stressful drive overall. Just because you can last four hours without needing to go to the bathroom doesn’t mean your baby can. Regular stops every one-to-two hours will help ensure your baby is happy and in clean clothes. Oftentimes, drivers prefer to take the most scenic route possible when going on a road trip to make the drive more enjoyable. While this approach may be fine when you’re with a group of adults, the longer your baby spends in the car the more agitated they’ll likely become. 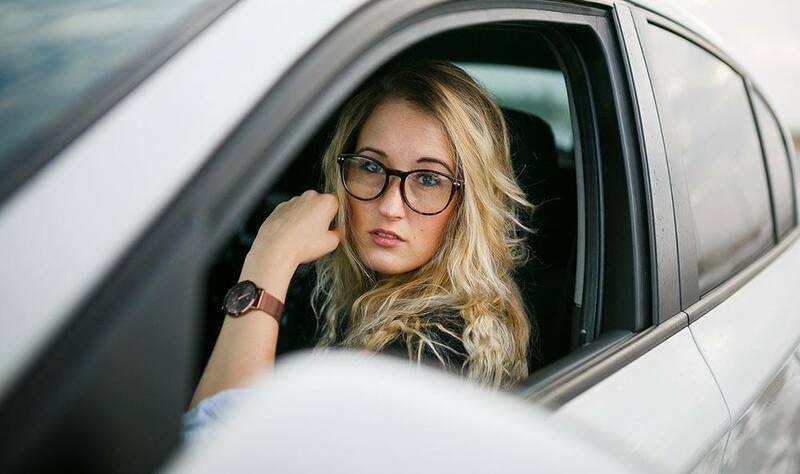 While you may prefer to do all you’re driving in a single day, it may be a bad idea to endure that much stress over a period of eight-to-ten hours. If you’re able to break up the drive over multiple days, you should really do so. Driving with young children for even an hour can be a stressful event, but an eight-hour road trip can be downright exhausting if you’re not prepared. You may have packed all the baby supplies you need, but they won’t do you much good if your baby starts crying while you’re driving on the highway and the supplies are stuck in the trunk. In order to ensure your infant is happy, you should try to minimize the amount of time spent leaving your house. A good way to cut down on this is to pack everything you need the night before. When it’s actually time to leave for your trip, you can simply walk out your front door and begin your travels. If you don’t already know a number of baby massage techniques you should take the time to learn some before your trip. Infants can get extremely restless on long trips, which is why it’s important to keep their legs and feet loose. Even if you’re well-prepared, something could still go wrong on your trip. It’s important to enter the drive knowing that unpleasant situations may arise. When they do, it’s important to stay calm and not to overreact. Car sickness (or motion sickness) occurs when there is some sort of conflict between your senses. Your brain receives signals from your inner ears, eyes, and muscles to sense movement. If your brain receives mismatched signals, you may begin to feel nauseous. This can happen when you’re reading a book or scrolling through your phone for an extended period of time. Your inner ear tells the brain that you’re moving, but your eyes trick your brain by telling it that you’re stationary. This mismatch is how motion sickness is created. The closer you are to the front of the vehicle, the less motion you’ll experience. If you notice that you’re always in the back seat when you start to feel nauseous, ask to sit next to the driver on your next trip. Ask the driver to avoid braking or accelerating suddenly, as any abrupt starting and stopping will only worsen any nausea and dizziness and could even cause you to vomit if it’s over a long enough period of time. Of course, this can be tougher to avoid on a crowded highway. If you want to know why drivers rarely feel motion sickness themselves, it’s because they’re concentrated on the road ahead, which helps to give their brain a sense of movement. If you’re in the front seat, make sure to look out the window and fixate on a certain point. As you continue to drive, the point or landmark should appear closer and closer, signaling to your brain that you are, in fact, moving. As mentioned earlier, looking at a book or your phone for an extended period of time can send mixed messages to your brain. If you notice that you’re beginning to feel nauseous, take a break from your phone or book for five-to-ten minutes and see if you begin to feel better. Both ginger and mint are considered great natural remedies for motion sickness. If you’re feeling nauseous, ask the driver if they can stop at a nearby coffee shop or grocery store so you can grab a mint tea or ginger beverage. If all else fails you can try out medication. Ideally, you’d like to avoid taking medication if possible, but many people often feel better after taking over-the-counter drugs such as Benadryl. Just be warned that these kinds of medications could make you drowsy. If you take a glimpse at any vehicle, the first thing you’ll notice is how it looks on the outside. As a result, it’s important that you do a good job of preserving your car’s paint. Not only are bird droppings tough to look at and just gross in general, but they can also cause permanent damage to your paintwork due to their acidity. It’s recommended that you buy a special solution to spray and gently wipe away any droppings. This can be an annoying task in the summer, but it’s better than paying for a new paint job down the road. If you park under a tree on a regular basis, it’s almost a given that sap will eventually begin to accumulate on your car’s exterior. If you try to remove it incorrectly, you’ll end up just spreading the sap even more. Make sure you purchase a proper remover, especially if the sap has already hardened. It also may not be a bad idea to re-apply a layer of wax when you’re finished. If you’ve ever left a coffee on your car’s roof and drove off, your car’s paint likely paid the price without you even realizing. Coffee is acidic and will begin to eat away at your car’s paint if you fail to take care of the problem in a timely fashion. Prolonged exposure to sunlight can cause your vehicle’s paintjob to fade over time. Since there’s no affordable way to fix this issue once it occurs, it’s always best to park your vehicle in a garage or in a shaded area. If you’re forced to drive on gravel during your daily commute, it’s almost a guarantee that you’ll have to deal with stone chipping to your car. 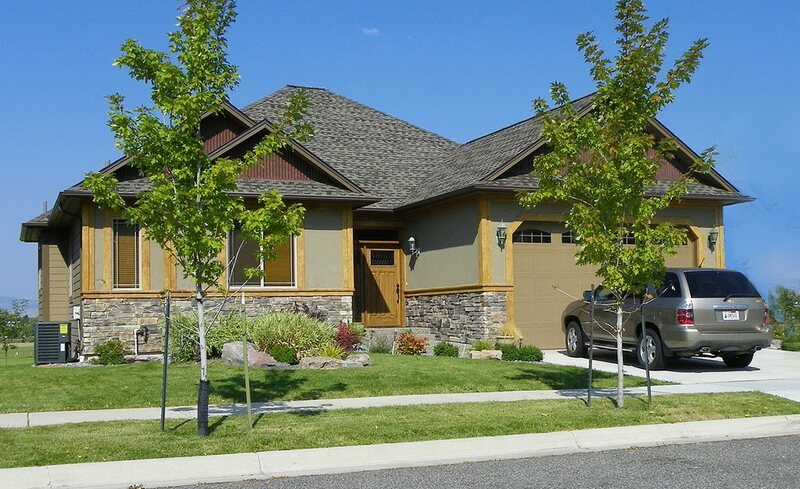 While many people tend to overlook stone chips due to their small size, they can create a big problem if rust begins to form. Replacing vehicle parts is never a fun exercise, especially when the component you’re looking to replace is fairly expensive. When deciding whether to choose between OEM and aftermarket parts, too many drivers typically go for whatever is cheapest. While this could still be the smart choice, it’s important that you understand the difference between the two prior to making your decision. Almost all OEM parts come with some level of warranty protection, so you won’t have to worry about paying for the same part twice if there’s still an issue. Typically, aftermarket parts do not come with any warranty protection, and if they do, it’s very limited. This could be an issue if there is a problem with the new part, as you may end up paying more thank you originally hoped. Truth be told, it’s entirely possible that an aftermarket part is just as effective as the OEM part but at a reduced cost. However, this is far from a guarantee, and you really won’t know for sure until it’s too late. Since it’s tough to know what you’re buying, purchasing a lower quality part could actually cost you more in the long run, as it would have a shorter useful life and force you to find a new part once again. With OEM parts, you can be assured that the part you’re replacing is the exact part you need, which will help to give you some peace of mind. In many situations, the OEM part may be more expensive than the aftermarket part. However, this only takes into account the initial cost of buying the new part. 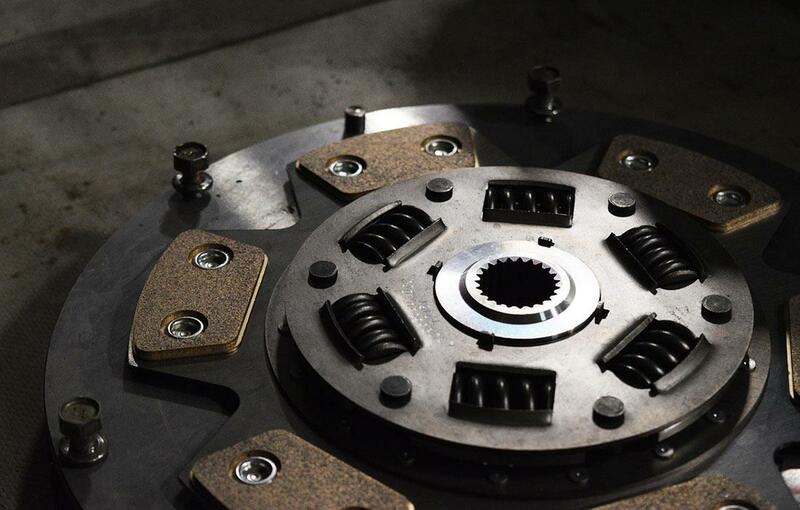 If an OEM part costs $100, but will last you three years and a manufactured part costs $70, but will last 18 months, you’re still better in the long run buying the OEM part, even if it seems more expensive. Cost is an important factor no matter what you purchase. Just remember that cheaper isn’t always better. If you’re willing to pay a little extra for peace of mind, OEM parts are the way to go. You know exactly what you’re getting and won’t have to worry about the part being less expensive, but poor value. On the other hand, while manufactured parts can end up being a good bargain, they can also be very low quality. Unfortunately, it’s also very difficult to know this beforehand. Should you buy a GPS system or use your smartphone’s navigation apps? Maybe the biggest advantage of using your smartphone is not having to shell out any additional money for a GPS device. Sure, not all the apps available on your iPhone or Android are free, but they’re also much cheaper than buying your own GPS system. However, if you’re on a limited data plan, it’s recommended that you upgrade your plan, as you could find yourself in a situation where you’re spending more in data overage charges than you would if you just bought a GPS device. While GPS devices originally had the advantage in real-time traffic data, many smartphone apps have since caught up in that category over the past several years. Apps such as Waze have made a name for themselves by providing up-to-the-minute traffic information from crowd-sourced data. Other smartphones applications do a great job of tracking current traffic data and finding a route for you that’s not congested, but just be aware that some may charge extra for live updates. Remember that GPS devices also typically display other useful information such as speed limit requirements. Unless your smartphone is brand new, you’re likely constantly worrying about draining your battery. 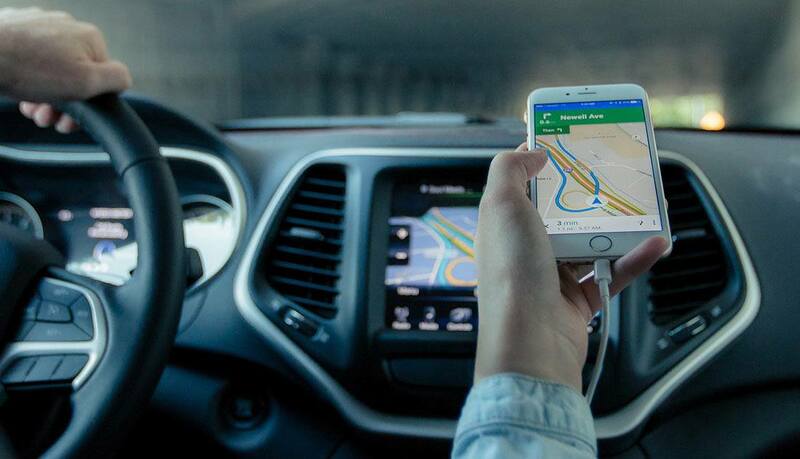 Having to use a smartphone as your navigation device on a long trip likely isn’t a good idea, as the last thing you want on a road trip is for your phone to die. Smartphones also rely on a cell signal for your map data, so you may struggle to get a signal in remote areas. It’s a good idea to download your maps beforehand if you know you’ll be on the road for an extended period. Smartphones are intended to be used as phones, not as navigation systems. As a result, they can often be difficult to see when you’re driving, as the screen and font is often much smaller than a GPS device. However, there are a few Android models that are as big as the average GPS device, so they can still be viable options. GPS devices, on the other hand, are designed to be looked at when you’re driving, making them much easier to see behind the wheel. As a result, there’s less concern of you becoming distracted while driving. If you do choose to use your smartphone instead, make sure to buy a device that will allow you to mount your phone on your dashboard, as placing it in your cup holder will almost certainly lead to distracted driving. As automotive technology continues to advance, more and more vehicles will soon be equipped with keyless ignition systems. 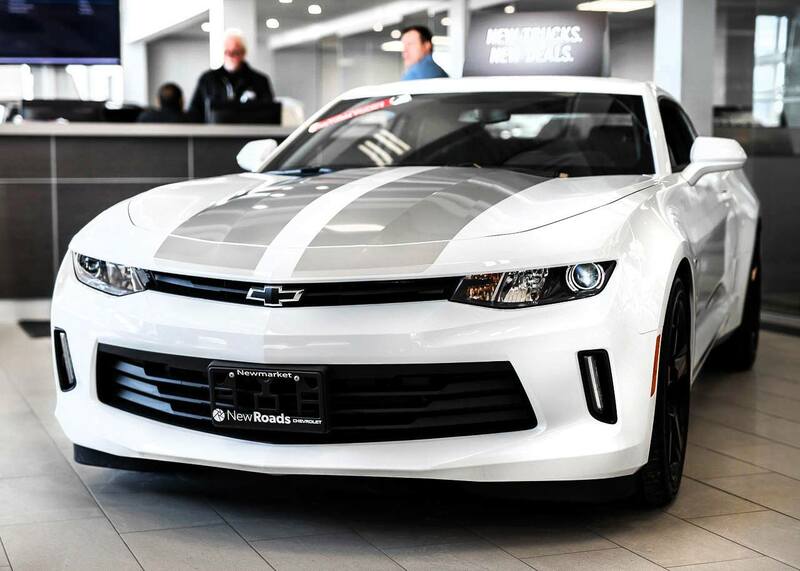 If you’re thinking about buying a new vehicle in the foreseeable future, you should learn a little more about these systems before entering a dealership. Read ahead to understand the pros and cons of keyless ignition. Keyless ignition systems are becoming more popular because they make driving more convenient. How many times have you walked back to your vehicle because you couldn’t remember whether you locked it? With a keyless ignition system, you can lock your car from your kitchen or the hotel lobby. Some systems will even lock automatically after you’ve walked a certain distance from your car. You also don’t need to worry about fumbling with your keys, making them desirable if you’re carrying groceries and have your hands full. If you often double-check to see if you remembered to lock your car, a keyless ignition may be the way to go. Proponents of keyless ignition systems argue that they make it more difficult for thieves to steal your vehicle. However, others argue that keyless ignition systems may actually be less secure, as they can be prone to hacking. Of course, while this is technically possible, it’s probably still more likely for a thieve to smash your window or pick your lock in order to enter your car. Since keyless ignition systems are still relatively new, there are still some issues that have yet to be fully sorted out. Many modern vehicles have extremely quiet engines, making it more difficult to tell if it’s still running with a keyless system. Fortunately, both car manufacturers and the National Highway Traffic Safety Administration (NHTSA) are actively taking measures to correct this issue. Some models now sound an alert if the ignition fob is removed while your car is idling. Others will automatically shut off your engine after a certain period of time. While keyless ignition systems may be more convenient and potentially more secure, they are also more expensive. Any replacement costs would also be pricier than simply replacing a damaged or broken key. 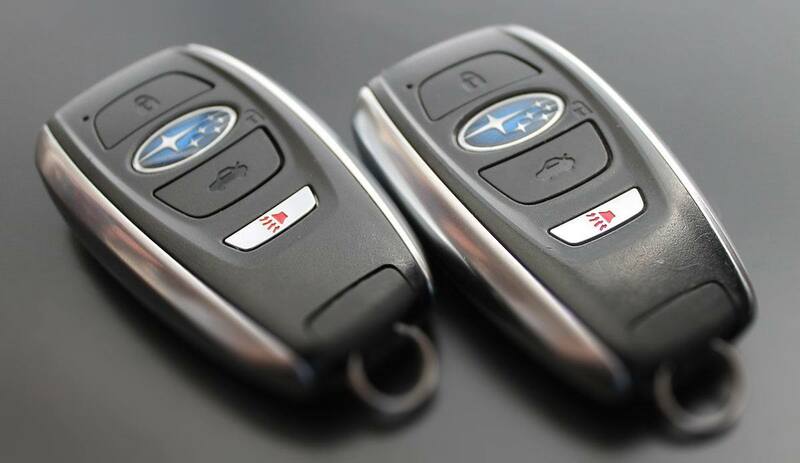 While they’re not a necessity, if you value convenience, it’s hard to argue that a keyless ignition system isn’t worth the extra cost. 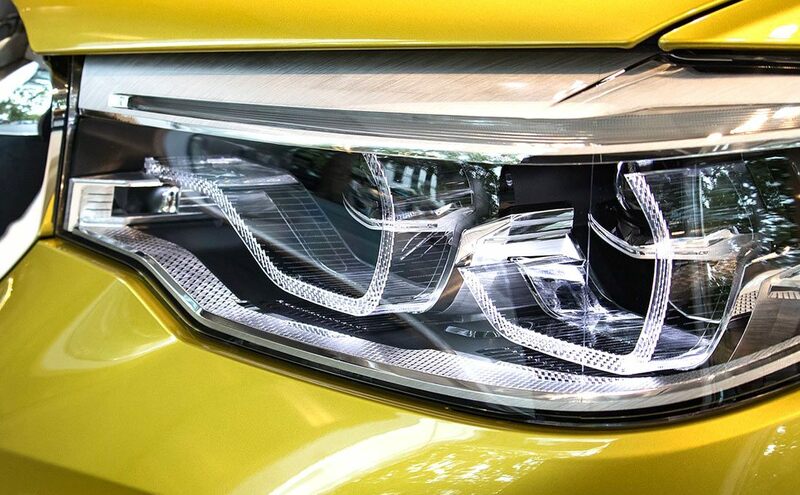 You may not think of them as such, but your car’s headlights are arguably one of your vehicle’s most important safety features. Headlights are designed to not only enhance your ability to see the road ahead, but also to notify other drivers of your intentions. If they’re not working properly, you could be putting both yourself and others at risk. In order to ensure you can properly see the road ahead, it’s important to keep your headlight lenses clean and clear at all times. It’s particularly important to check them regularly in the winter, as debris can quickly build up and ultimately hinder your view. Fortunately, there are a number of polishers available to clean off any debris yourself. While headlights do a tremendous job of enhancing your vision behind the wheel, they don’t always do the trick. If the fog outside is super thick, your headlights may actually hinder your ability to see, as the light can reflect back onto your eyes. In this instance, it’s important that your fog lights are in working order. Just remember that fog lights are not designed for driving on clear nights. If you are using them when it’s not foggy, remember to turn them off when encountering oncoming traffic. In order to communicate with other drivers that you’re slowing down or coming to a complete stop, it’s pertinent that your brakes lights are fully functioning. Remember that they should be bright red. If not, you may increase the risk of other drivers not seeing you and getting rear-ended. Thousands of accidents occur every year because of drivers failing to signal properly. While the majority of these accidents occur due to negligence on the driver’s behalf, some can occur because their turn signal stopped working. As a result, it’s crucial that everything is in working order. Imagine driving behind a vehicle that doesn’t signal before changing lanes on the highway? It should be noted that you should always cancel your turn signal after successfully completing your turn. Failing to do so can confuse other drivers and potentially place them in a dangerous and unwanted situation. In order to ensure you stay as safe as possible behind the wheel, you should make a habit of checking your light system regularly. It may seem tedious, but it’s really quick and easy. First, turn on all your lights at night and do a quick walk around your vehicle to ensure everything is illuminating. If you’re with someone else, you can get them to step out of the car and ensure your brake lights and turn signals are working too. This simple test can be done in just a couple of minutes, so there’s no excuse for not doing it every few weeks.